Thank you to everybody who has made this article possible. + The dynamics of at-sea nuclear deterrence have completely changed since the end of the Cold War. In those 25 years the total number of active ballistic missile submarines has more than halved. 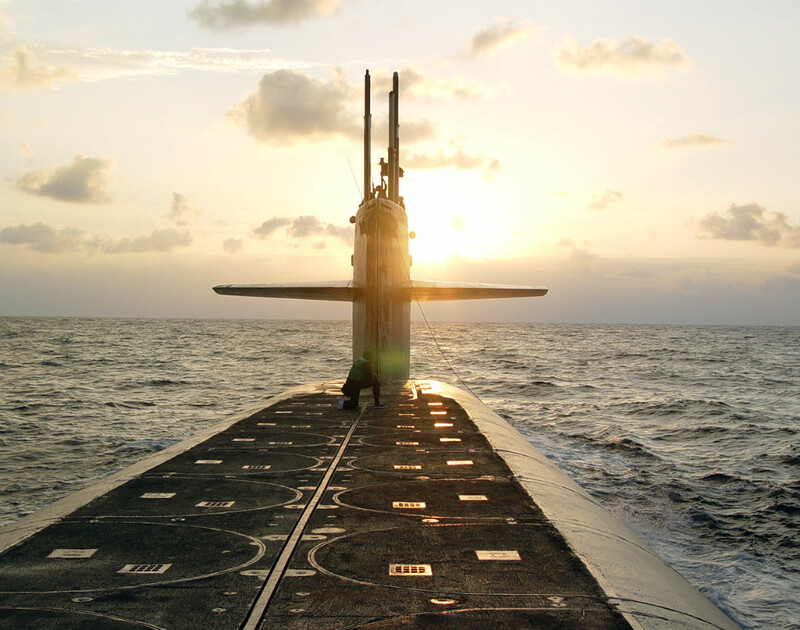 In 1991 the US Navy operated 33 ballistic missile submarines; today it operates just 14. 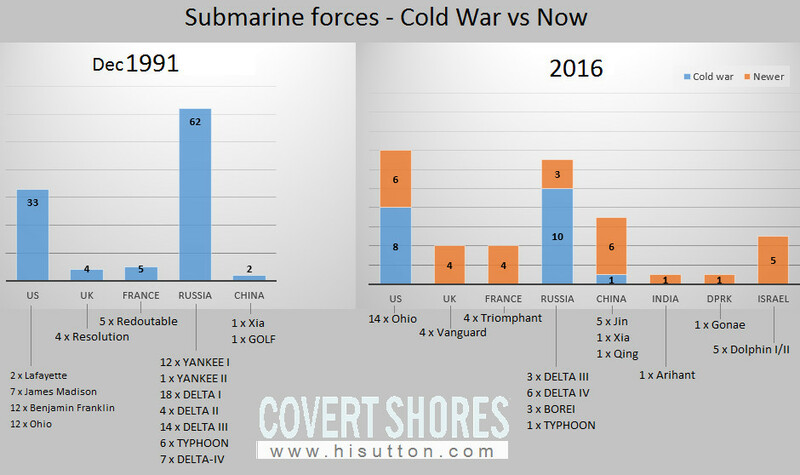 Russian meanwhile has gone from 62 down to just 12, or 13 if you count the last TYPHOON Class which is still used for trials. The United Kingdom and France maintain the absolute minimum at-sea deterrent with just four submarines apiece. 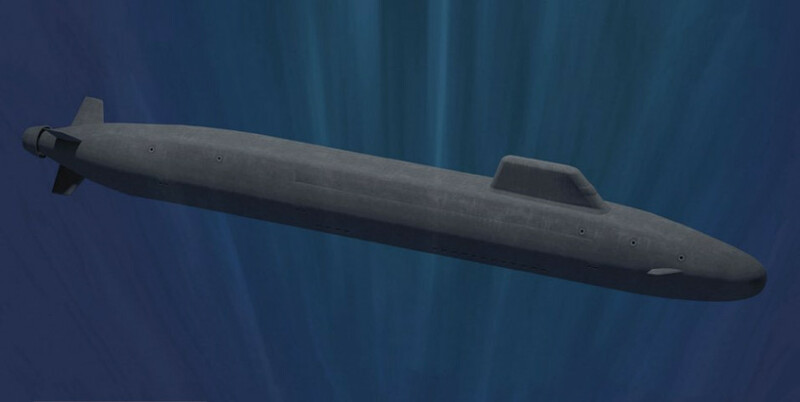 The US and UK are starting down the road to build their next generation of ballistic missile submarines (SSBNs), more commonly known as ‘boomers’ or ‘bombers’ to the Brits. The US Navy’s Ohio Replacement Program (SSBN[X]) is estimated to end up costing $97bn for 12 boats, while Britain’s Successor program is costed at $44Bn for 4 boats. The waters these boats will slip into will be very different from those that their forbearers did. Meanwhile China has continued to grow its capability, and three countries have entered the arena; Israel, India and North Korea. Additionally, Russia is developing KANYON which is a whole new class of at-sea deterrent based on a nuclear powered torpedo. The first country to operationalize submarine launched nuclear deterrent was the United States in 1955 with the (SSM-N-8A Regulus cruise missile), quickly followed by the Soviet Union in 1956 with ballistic missile armed ZULU class submarines. 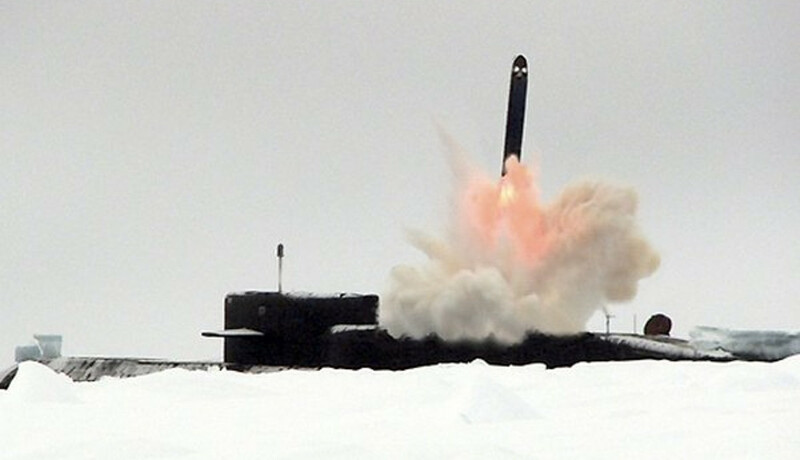 Putting nuclear missiles on submarines made them more survivable than land and aircraft based systems, assuring a country that it had a ‘second strike’ capability to retaliate even if its cities and air bases were destroyed in a surprise attack. This ensured that both sides (US, UK on one side, USSR on the other) where threatened with Mutually Assured Destruction (MAD) if they started World War Three. Development progressed rapidly amidst the nuclear arms race, and by the mid-60s the pattern was set for at-sea nuclear deterrents to be submarine launched ballistic missiles (SLBMs) launched from nuclear powered submarines (SSBNs). Systems like Polaris and SS-N-6 SERB date from this period. By then five countries had nuclear weapons: US, USSR, UK, France and China. These signed the Nuclear Non-Proliferation Treaty (NPT) which since then, together with bilateral SALT and START treaties has largely governed how many nuclear weapons are deployed, how and by whom. Except that the new countries possessing nuclear weapons (India, Pakistan, Israel, North Korea and previously South Africa) have not been bound by such treaties. In space, two aliens are talking to each other. The first alien says, "The dominant life forms on the Earth planet have developed satellite-based nuclear weapons." The second alien asks, "Are they an emerging intelligence?" The first alien says, "I don't think so, they have them aimed at themselves." 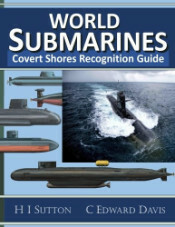 This Covert Shores Recognition Guide Covers over 80 classes of submarines including all types currently in service with World Navies. US: 7,100 nuclear warheads carried by ground based ICBMs, aircraft and SSBNs. Russia: Estimated 7,700 nuclear warheads carried by ground based ICBMs, aircraft and SSBNs. Currently developing a unique torpedo based at-sea deterrent (KANYON). UK: Stockpile reduced to 225 warheads, carried exclusively by SSBNs. Current plans are to reduce the stockpile further to just 180 warheads by the mid-2020s. 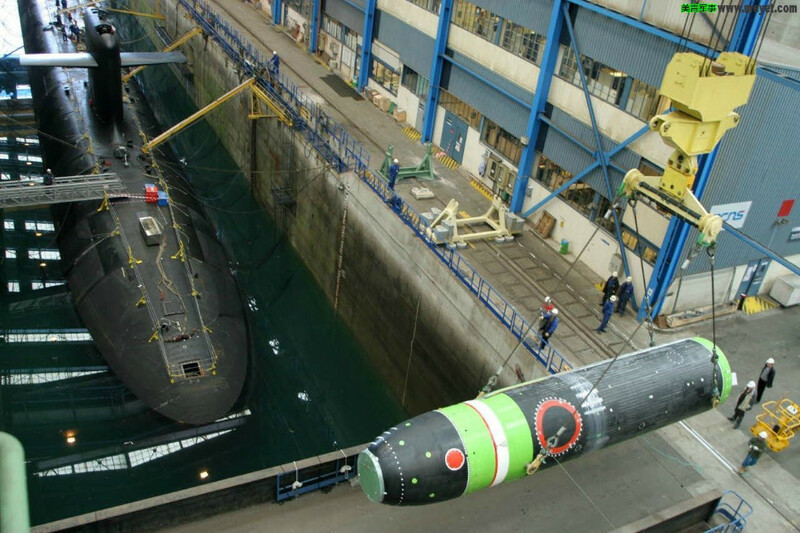 France: Stockpile reduced to less than 300 warheads, deployed via both the air force and SSBNs. Land based systems withdrawn. SLBMs de-targeted and alert statuses reduced. China: Estimated stockpile of 260 warheads, but increasing. Deployed by Land based ICBMs, aircraft and SSBNs. India: Estimated arsenal of 90-110 nuclear warheads, mostly deployed on land based ballistic missiles. Israel:. An undeclared nuclear state, Israel keeps its nuclear capabilities behind a veil of ambiguity. There is no serious doubt -that it has the weapons and even its allies count it as a nuclear state. It is estimated to have a stockpile of 80-100 warheads, some of which may be deployed on submarines. North Korea: The DPRK (Democratic Peoples’ Republic of Korea) is currently viewed as a nuclear capable state rather than a nuclear weapons state, and has a small but developing capability with an estimated 6-8 warheads. A program to build nuclear armed submarines is underway based largely on vintage Russian technology. 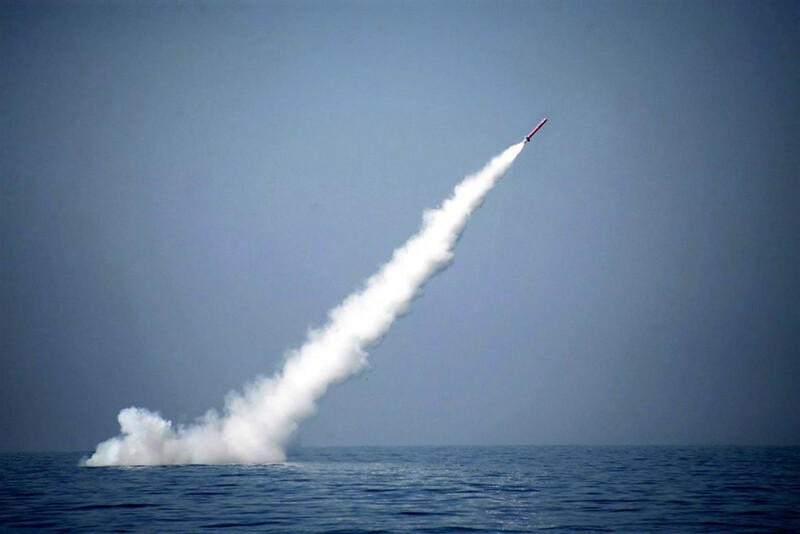 Pakistan: has an estimated 100-120 warheads and has recently tested a submarine launched version of its nuclear-capable Babur-3 cruise missile. Such a system is expected be carried by Pakistan’s fleet of Agosta submarines and be roughly equivalent to Israel’s deterrent. Iran: has (allegedly) pursued nuclear weapons, and separately pursues submarine building programs. There is no serious suggestion of an underwater nuclear deterrent however. 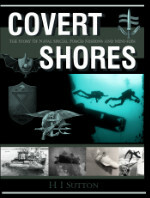 THE book on Special Forces subs Covert Shores 2nd Edition. A world history of naval Special Forces, their missions and their specialist vehicles. SEALs, SBS, COMSUBIN, Sh-13, Spetsnaz, Kampfschwimmers, Commando Hubert, 4RR and many more. Original artwork - CLICK for HIGH-RESOLUTION image. 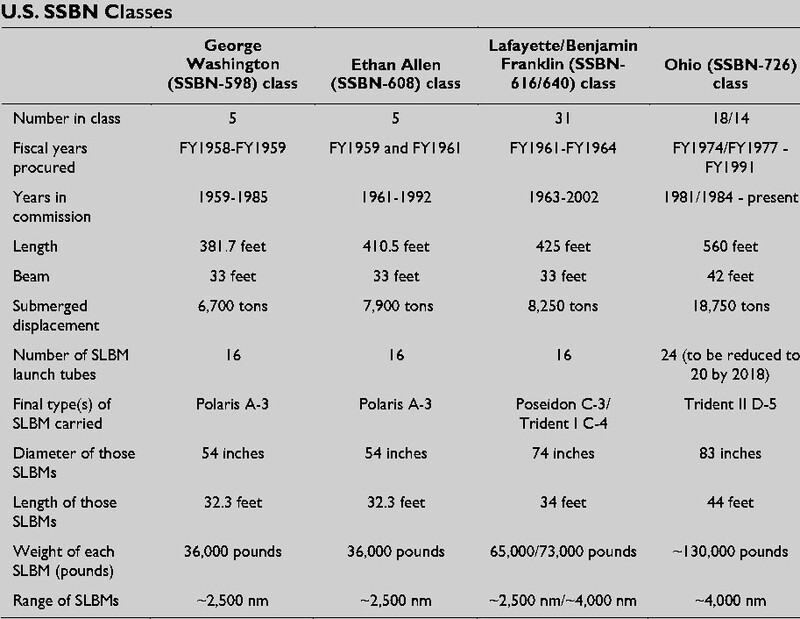 Today just 14 Ohio Class SSBN represents 100% of the US Navy’s boomers. Two more Ohio Class boats are in service as cruise missile and Special Forces platforms. 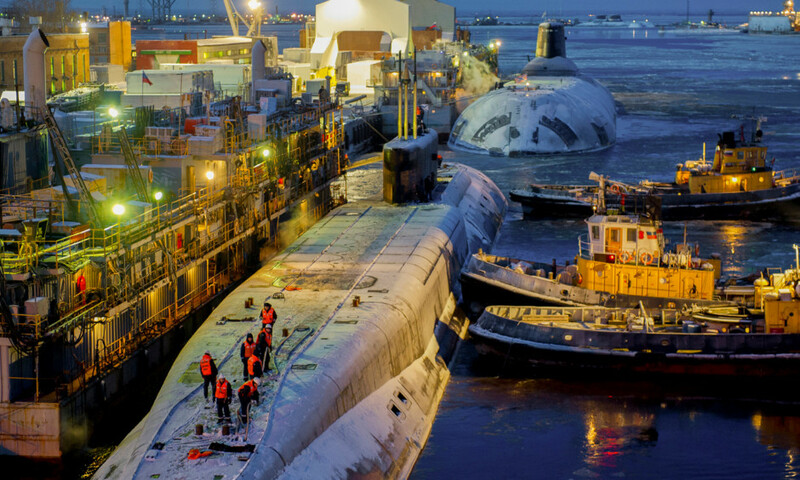 The Ohio is a massive submarine designed to pack twenty four ballistic missiles along its back. There are plans to reduce the load to ‘just’ twenty active tubes, but it will still be more than any other active boat (pending the possibility that Russia may field a twenty-missile version of the BOREI, see below). Source: Navy Ohio Replacement (SSBN[X]) Ballistic Missile Submarine Program: Background and Issues for Congress, by Ronald O'Rourke, May 20, 2016. For Congressional Research Service. Work on the next generation Columbia Class (SSBN[X] aka Ohio Replacement Program) is already underway. It will be slightly larger than the Ohios but carry fewer tubes with just 16 missiles. 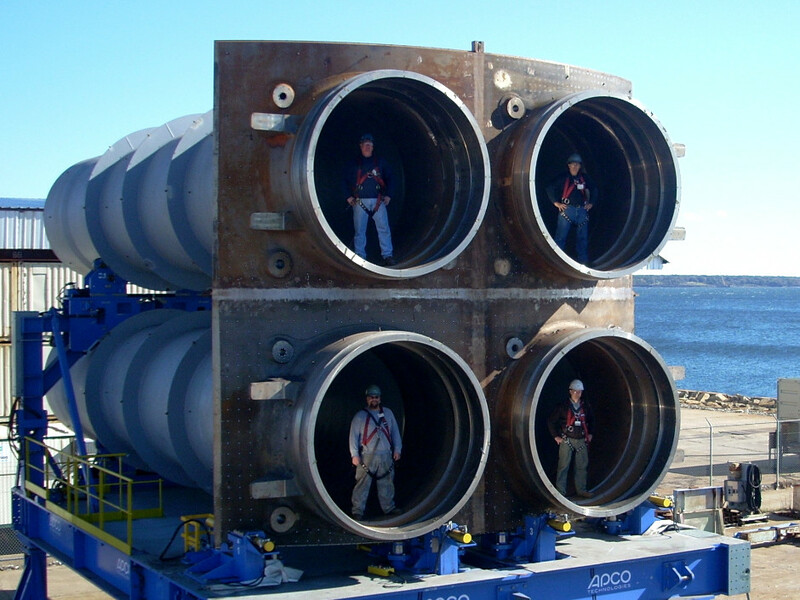 The way that the tubes are built is an interesting innovation, with each tube being fitted out before installation into sections of hull as quad-packs. The tubes are same diameter as the Trident tubes on the Ohio (allowing Trident missiles to be carried) but 1m longer to allow larger missiles in future. Another innovation will be the use of a permanent-magnet motor electric drive which promises to be quitter than existing systems. Other aspects of the boat are relatively low-risk with significant commonality to the current Virginia Class attack subs. The design will revert to the old practice of placing the hydroplanes on the sail (‘fairwater planes’) to ease maintenance. Perhaps the biggest difference is more subtle: the reactor will be designed to operate for a full 42 year service without major overall and refueling. This will mean that more boats will be ready at any one point in time which allows for fewer boats to be built: 12 to replace 14 Ohios. The most modern part of the Russian Navy’s nuclear deterrent is the Project 955 BOREI Class, designated after the Aurora borealis natural light effects. The first boat was launched in 1996 and 3 are currently in service, with five more in various stages of construction or planning. These boats are large with double-hull construction, but comparatively conventional when compared to the earlier TYPHOON Class (see below). The BOREI Class are supported by a larger fleet of legacy DELTA-III (3 boats) and DELTA-IV (6 boats). These use liquid-fueled R-29RMU Sineva missiles with an 8,000km range. 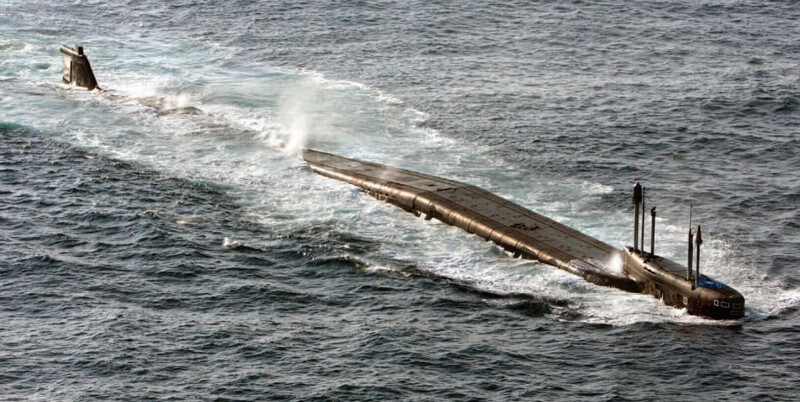 DELTA-III SSBN. The main visual difference compared to the newer DELTA-IV are the small square flood holes along the bottom of the ‘hunch back’ casing over missile compartment. The TYPHOON Class SSBN are the largest submarines ever built, displacing an incredible 48,000 tons submerged. When built in the last days of the cold War they were widely revered as the impressive submarines afloat. But they were also incredibly expensive to build and operate. Today only one (the ‘Dmitriy Donskoy’) remains out of the original 6, and it is used only for trials of the RSM-56 Bulava missile. The boat’s original RSM-52 missiles are all past their shelf-life and were not replaced in stocks, so this boat is no longer a fully operational SSBN and does not undertake deterrence patrols. 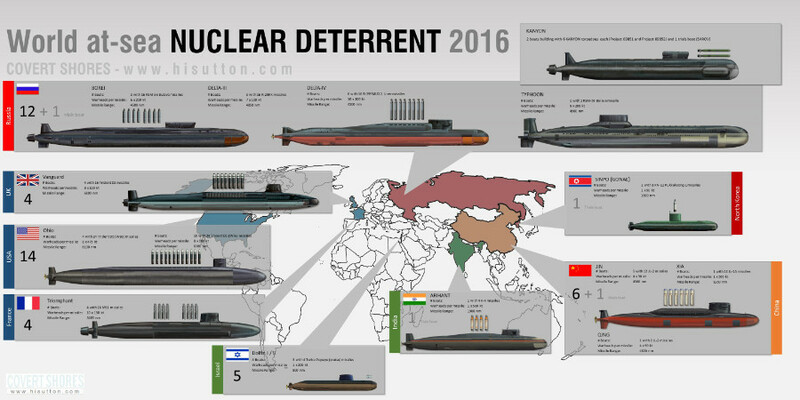 Russia is also developing the Status-6 KANYON nuclear torpedo. This is not a regular torpedo, dwarfing so-called heavyweights at three times the length and three times the diameter, and 27 the volume. It is both nuclear armed and nuclear powered. Six of the new weapon will be carried by the purpose-built Project 09851 KHABAROVSK submarine, and possibly 6 by a modified OSCAR-II Class submarine which is also being used as a mothership for deep diving intelligence gathering submarines. The system is conceptually complicated which has led many people to question whether it is a real project. Afterall, KANYON makes no sense as a first-strike weapon; it is slow, noisy and can only hit seaboard cities. But it is almost unstoppable, especially if the first strikes decimated the satellites and information systems required to coordinate an intercept. So it does make sense as a second-strike weapon. Powerplant: 1 x nuclear reactor (probably ОК-650В) driving a single pumpjet. Armament: 6 x Status-6 nuclear torpedoes. Unspecified capability to launch regular torpedoes and decoys. The UK maintains the minimum continuous at-sea deterrent (CASD) with four Vanguard Class SSBNs which can carry up to 16 Trident ballistic missiles. The force is intended as a pure second-strike capability. Following British SSN innovations, the Vanguards were the first SSBNs to have Pumpjet propulors, a characteristic since implemented in several classes. Powerplant: 1 x PWR2 nuclear reactor driving a single pumpjet. There have always been some political challenges to the British At-Sea Deterrent program. When the original Resolution Class boats were ordered in the 1960s, it was touch-and-go, and the boats themselves were almost hybrid attack submarines with some SLBMs added on. In the end common sense prevailed and the Resolution Class were generally similar to US SSBNs and used the US developed Polaris missile. The order was cut to just four boats however, the absolute minimum to ensure a continuous at-sea deterrent (CASD) with one boat on patrol at any given point in time. The survivability of the system combined with the weapons load of sixteen Polaris missiles was considered sufficient to guarantee unacceptable losses to the Russians in the case of nuclear war (unacceptable loss being measured in cities destroyed, with some cities requiring more than one missile warhead). In the years leading up to the Successor program, British shipbuilding giant BAe Systems proposed a number of futuristic submarine designs. As the program formalized the designs may have become less adventurous. Successor, now named Dreadnought Class, is not likely to be as revolutionary in overall design terms. Today the plan is to replace the current Vanguard Class with a Successor Class broadly equivalent to the Ohio Replacement program boats but with just twelve missiles. The missile sections in fact will be the same as on USN boats to share development costs. Since the original Resolution Class, CASD has faced successive political threats in the form of budgets and principled objections. The most notable current threat is from the leader of the opposition, Jeremy Corbyn, who has said that, if elected Prime minister, he would never use nuclear weapons even if Britain is attacked. Currently the future looks positive for the Successor Class but the road ahead will be long and things could change. France’s nuclear deterrent is carried by four Triomphant Class SSBNs which were introduced into service in the mid-1990s. Powerplant: 1 x K15 nuclear reactor driving a single pumpjet. China maintains a military doctrine on non-first use, with a nuclear arsenal built largely around land-based Inter-Continental Ballistic Missiles (ICBMs), supported by airforce delivered tactical nuclear capabilities. 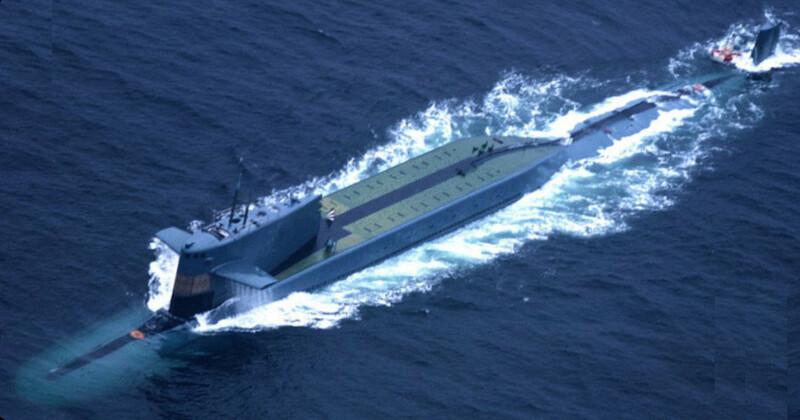 The submarine based deterrent has been present since the launch of the first SSBN, the Type-092 XIA Class in the 1980s. It is not clear whether XIA ever recieved its missiles and it almost certainly did not conduct any operational patrols. It is however still nominally listed as operational. Although Four or five newer Type-094 JIN Class SSBNs having entered service in recent years (with more expected), the at-sea deterrent has a questionable operational status. It is widely reported that the boats do not conduct operational patrols outside China’s home waters which, given the ranges of the missiles involved, prevents them from targeting major US cities. And the boats themselves, particularly the older XIA, is thought to be a relatively outdated design. China’s nuclear powered submarine program has produced about 20 boats but the technology has always lagged behind other nuclear boats, particularly in terms of stealth. And with a tendency not to conduct operations in the open Pacific Ocean (there have been exceptions! ), operational experience is also likely limited. The near-future capability and China’s potential to overcome any remaining technological challenges should not be underestimated however. The single first generation Type-092 XIA Class SSBN was based closely on the Type-091 HAN Class SSN. It’s JL-1 missiles have a very limited range compared to modern SSBNs. The latest Type-094 JIN Class SSBN is outwardly very similar to the XIA but is larger and carries the much more capable JL-2 missile. The availability of missiles and warheads has been questioned and analysis of publically available Google Earth satellite imagery reveals that the force is mostly in port with, quite possibly with long spells where no boats are at sea. First reported in June 2016, the latest JIN Class boat appears to be a new sub-variant featuring a slightly larger hump-back and blended lines on the sail similar to the related Type-093A SSN. The type appears to be a modest iterative improvement with the sail modifications possibly intended to reduce flow noise. It is not clear whether it carries a larger missile, but there are no reports of a major new version of the JL-2 SLBM, and the follow-on JL-3 is thought to be much larger still. China also operates a single Type-032 QING Class AIP (Air Independent Power) submarine which can carry two JL-2 SLBMs. This is a dedicated trials boat however and not an operational SSB. The SLBM tubes do not appear to be used however as they are always seen plated over (?). And at any rate the use of a conventional submarine is likely only to reduce the cost of the trials. QING Class on the surface. The twin JL-2 launch tubes are located in the sail. A pack of cruise missile vertical launch tubes are carried ahead of the sail. India launched her first SSBN, INS Arihant, in 2009. As well as being the first ballistic missile submarine, she is the first nuclear powered submarine ever built in India. Since then she has been involved in a slow and secretive testing program. Although there is significant Indian design authority and technology in the boat, including the missiles, much of her construction appears directly based on the Russian KILO Class diesel-electric submarines which are also operated by India. And Russia has loaned an AKULA Class SSN to the Indian Navy for training on operating and maintaining a nuclear submarine. Although over 100m (300ft) in length, she is much smaller than other SSBNs and so uniquely the missile load consists of four tubes arranged in a single line behind the sail. As built she actually carried 12 small K-15 short ranged ballistic missiles, but these are to be replaced by the full-sized K-4 missile. 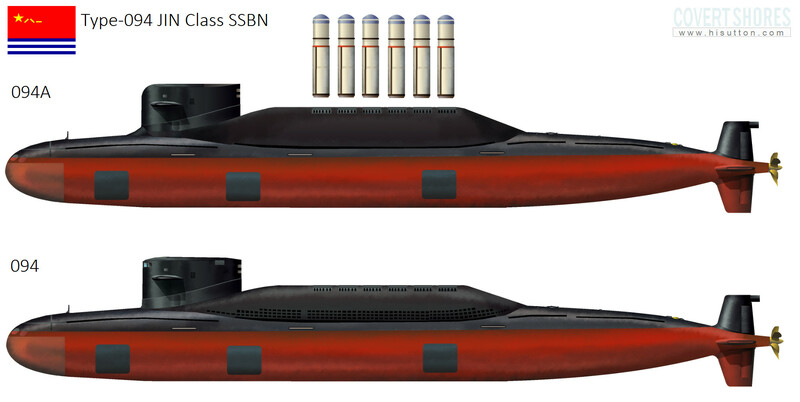 It is not clear how many SSBNs are planned (some reports say 3) but all indications seem to point to a gradual operationalization with eventual CASD capability. The existence of the SINPO Class (GONAE Class) ballistic missile submarine was first revealed on Covert Shores in 2014. Since then there has been a lot of analysis and speculation, plus more photos and evidence of at least two test launches of the NK-11 Pukgeukseong-1 ballistic missile. It may be no coincidence that North Korea’s SLBM is called Pukgeukseong-1, meaning North Star; in English speaking world this star is called Polaris. Ironically therefore, the missile is closely based on the vintage Soviet-era R-27. It is liquid fueled and uses a cold-launch system whereby the rocket motor is only ignited after the missile leaves the water, propelled into the air by compressed gas. The SINPO Class boat is an indigenous design (forget talk of it being based on the Soviet GOLF Class or Yugoslavian types) and is the largest built in North Korea. It is however much smaller than any previous ballistic missile boat and can only carry a single missile tube. Although it should be treated as a test platform with a possible limited operational capability some years off, this program is real and should be taken seriously. 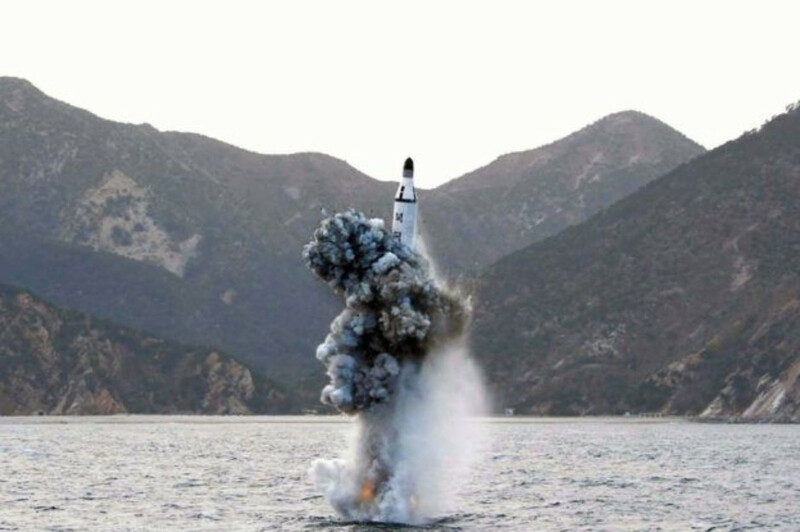 North Korea desires an at-sea deterrent and is actively pursuing one. 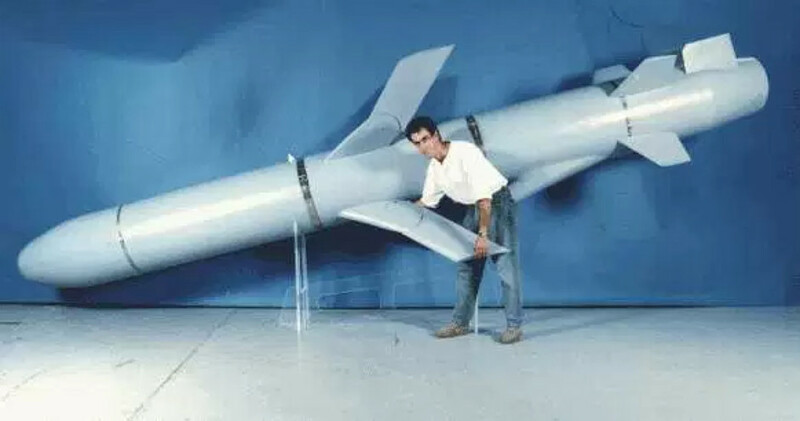 Israel is not normally listed as operating nuclear missile submarines, which is understandable a) because the nuclear capability s undeclared and b) because the capability consists of cruise missiles with modest range and warhead size. However, the widely held belief that Israel’s Dolfin Class submarines can carry nuclear armed cruise missiles is credible. Each boat can probably carry up to four Popeye missiles which would be fired through the large 650mm (25.5”) torpedo tubes. Pakistan test fired a submarine launched Babur-3 cruise missile in early January 2017. The weapon has a reported range of just 450km but will step-change in the Pakistani deterrent when deployed.